I chose to watch the keynote speakers at SXSW Interactive from one of the simulcast rooms, which was nice because I was able to hear great talks without the craziness of the actual keynote room. You can find video of all of the keynote speakers at http://sxsw.com/interactive/live. I particularly recommend the talk by Seth Priebatsch – on the second page of videos. 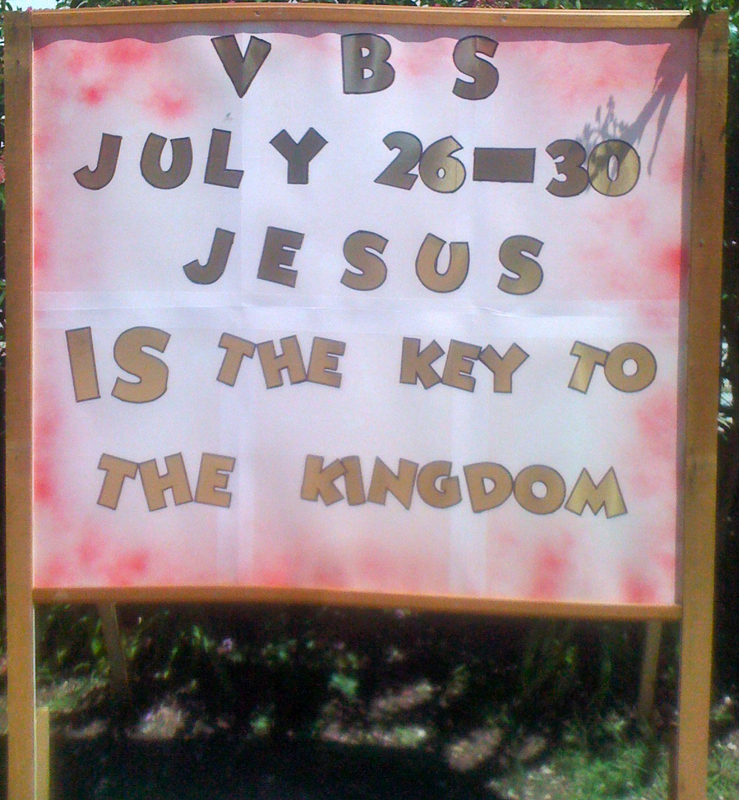 I do not believe that I have seen an advertisement for a Vacation Bible School that had such clarity as this one. I enjoy both social media and beautiful graphics. I’ve got a poster on the way for my wall. The Conversation Prism by Brian Solis and Jesse Thomas. A week ago today, I was at a UMR Communications board of directors meeting. This was my first meeting. There are a great deal of challenges and opportunities that are before UMR Communications. I am excited to see what will be next. Will you please share how you connect with UMR Communications? It may be through the United Methodist Reporter, umportal.org, other publications, digital printing, books and journals or design services. How has UMR Communications impacted you?